Thank goodness for some interesting news today! Trucking firm YRC Worldwide (YRCW) completed a debt exchange in the nick of time. 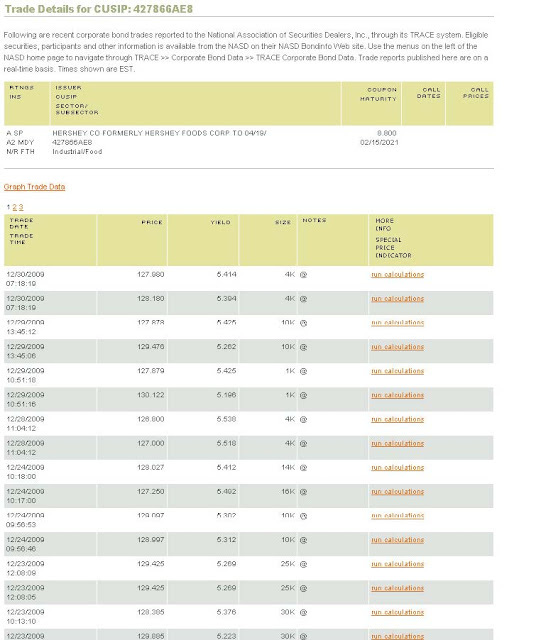 No seriously, they had $20million in lender interest and fees due today. Had the exchange not been completed, the company would be headed into bankruptcy. The interesting thing is that due to the conversion terms, this basically IS a bankruptcy, in that that debtholders are now equity holders in charge of the company. After the exchange, existing common stockholders will own about 5% of the company. Based on the current stock price of 85cents, the company's current market value is about $51million. Divide that by .05 and it implies the entire company is valued at a little over $1billion. The question is, what is a recapitalized YRC worth? They're struggling to survive right now, and expected to continue losing money. A look back at previous years' results gives us an idea of what the market is pricing in. If they were to make 2006-type earnings of $270million, then yes the current stock price is dirt cheap at four times earnings. But that shouldn't be assumed, as this flirtation with bankruptcy has severely hurt YRC's reputation. While some companies can operate just fine with the threat of bankruptcy in the air, a company like YRC cannot. Customers would be rightly petrified of losing their cargo in YRC's vast transportation network in the event of a liquidation. Cost cuts likely won't be a magic bullet either, amounting to 15% of wages. The bonds now trade hands above 50cents on the dollar, as they will become the new owners of a much healthier capitalized YRC. So, invest in the common stock or not? I will choose not to, but there could be good upside. 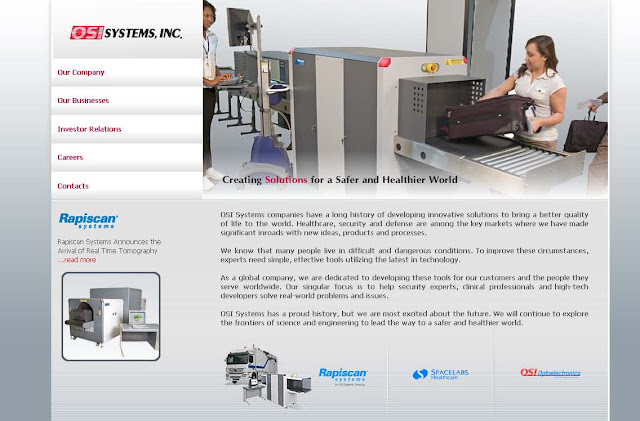 The debtholders cleared the way for a much healthier company going forward. Yes, they basically control the entire company now, but one can buy stock right now that discounts a lot of bad news. For speculative investors, this could be a five-bagger (+500%). This kind of position is interesting, as you could put in 1% of your portfolio, with downside of 1% and upside up 5% plus...I'll revisit this situation over the next few days. Footnoted.org has announced their embarrassing footnote of the year. (Footnotes are the common term for company disclosures in SEC filings). The winner comes from Oklahoma City-based Chesapeake Energy (CHK), an oil and natural gas exploration firm with about $8billion in annual revenues. Chesapeake's co-founder is Aubrey McClendon. Oh he's also Chairman of the Board, CEO, and maybe most importantly, "Chairman of Employee Benefits and Compensation Committee." Might explain his $78million in compensation in 2008 despite the 57% decline in the stock price the same year. Many investors, myself included, take note when a CEO buys shares of his own company, as it's a usually a positive sign. McClendon used to buy shares of CHK hand over foot, consistently placing himself atop the insier buying lists. That came back to haunt him (and anyone piggybacking his moves) in October 2008, when he had to sell his entire 33million share stake in CHK due to margin calls. Maybe the worst "CEO trade" ever. Anyway that's not the point. As I mentioned above, footnoted.org designated CHK as their most embarrassing footnote of the year, for having to point out that they purchased Mr. McClendon's historical map collection for $12million. Ridiculous cash handout to the CEO and Chairman? No way, because these maps are displayed at company headquarters and improve WORKPLACE CULTURE!" I love that the Company decided that it was appropriate to pay for these "cost-free loans of artwork." "In December 2008, the Company purchased an extensive collection of historical maps of the American Southwest from Mr. McClendon for $12.1 million, which represented his cost. A dealer who had assisted Mr. McClendon in acquiring this collection over a period of six years advised the Company that the replacement value of the collection in December 2008 exceeded the purchase price by more than $8 million....These maps have been displayed throughout the Company’s headquarters for a number of years, complementing the interior design features of our campus buildings and contributing to our workplace culture...The Company was interested in continuing to have use of the map collection and believed it was not appropriate to continue to rely on cost-free loans of artwork from Mr. McClendon. " Even though this transaction was awarded the top honor at Footnoted.org, if you keep reading the proxy further, the handouts become even more embarrassing. The next two entries are cash dealings with McCledon-owned businesses. In the first it's the company paying millions for advertising, tickets and suites at the McCledon-owned Oklahoma City Thunder, followed by payments to a McCledon-owned catering firm. In the case of the basketball team, they go to lengths to assure people that the company would patronize a sporting team even if it was not affiliated with McCledon, and in the case of the catering deal they come out and say it's outright inappropriate. "In 2008, the Company became a founding sponsor of the Oklahoma City Thunder, a National Basketball Association franchise owned and operated by The Professional Basketball Club, LLC (“PBC”). Mr. McClendon has a 19.2% equity interest in and is a non-management member of the PBC. The Company paid $3,495,525 in 2008 and $1,165,175 in 2009 pursuant to its sponsorship agreement for the Oklahoma City Thunder’s 2008-2009 season. As a founding sponsor, the Company received television and radio advertising for local broadcasts of Thunder games, arena advertising space, advertising in game-day programs and on the team website, team participation in a Company-sponsored community event, game tickets and use of an arena suite. In addition to the advertising and promotional activities related to its sponsorship of the Oklahoma City Thunder, the Company believes the sponsorship provides valuable support to the local community and contributes to employee morale. The Oklahoma City Thunder is the first major-league professional sports franchise to permanently reside in Oklahoma, and the Company recognizes our CEO’s efforts, through PBC, to bring the team to Oklahoma City. However, Mr. McClendon’s ownership was not a determining factor in the Company’s decision to sponsor the team. After Hurricane Katrina caused significant damage to the Superdome in New Orleans, the New Orleans Hornets (another National Basketball Association franchise) was temporarily relocated to Oklahoma City for two consecutive seasons, during which the Company sponsored the Hornets in a manner similar to its current sponsorship of the Thunder. The Company values the cohesiveness that professional sports teams have brought to the central Oklahoma community and would sponsor the team in the same manner if Mr. McClendon did not own an equity interest in the franchise. In 2008, the Company paid Deep Fork Catering approximately $177,150 for food and beverage catering services, primarily for two large events sponsored by the Company. Deep Fork Catering is an affiliate of the Deep Fork Grill, an Oklahoma City restaurant in which Mr. McClendon is a 49.7% owner. Mr. McClendon is not involved in decisions to hire Deep Fork Catering and has requested that the Company’s future use of Deep Fork Catering be eliminated. Governor Keating’s daughter-in-law, Brittney Keating, has served as a Landman for the Company since July 2005 and served as an Associate Landman from September 2004 to July 2005. Ms. Keating’s total cash compensation for 2008 was $139,327. Governor Keating’s son, Chip Keating, has served as Manager—Real Estate Development since August 2008, served as Land Negotiator from January 2008 to August 2008 and served as Associate Landman from March 2007 to January 2008. Mr. Keating’s total cash compensation for 2008 was $135,242. I noted yesterday that security screening companies American Science & Engineering (ASEI) and OSI Systems (OSI) were up handily on speculation that they'll receive greater attention due to the near-tragedy of Northwest Flight 253. Today ASEI has given back some of its gains, but OSI is up another 11% today as trading volume has exploded. Average daily volume this fall was about 97,000 shares per day, until this week. Monday and Tuesday saw nearly 800,000 shares traded each, and today the stock has exchanged hands 4.2million times with almost four hours or trading left. Volume will likely slow heading into the close, as much of the earlier trading was banks hedging options positions. The January $30 calls (a bet that OSI stock will trade above $30.85 before January 15th) are trading at 85cents, up from just 10cents a couple days ago. Those long OSI stock have an extra reason to cheer heading into the New Year's holiday. Depending on the size of the position, this huge move in OSI shares in the last couple days could boost fund performance by over a percent. 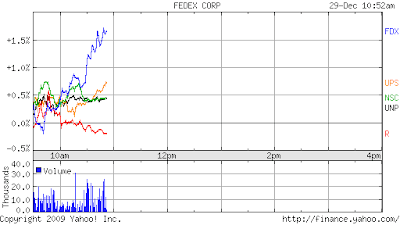 On the other hand, those short the stock are slamming their heads on their desks. The NYPost is reporting that the Hershey Trust is leaning towards a solo bid for Cadbury, which has been in play for some time now. The proposed $16billion takeout price is TWICE Hershey's market value of $8.3billion, and would require a huge additional $10(ish)billion in borrowing to be added to Hershey's currently very management $1.8billion in debt. 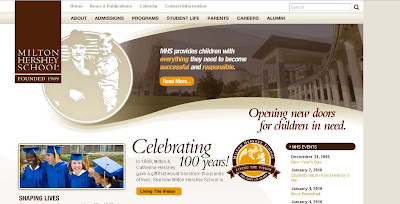 The Hershey Trust controls the voting shares of HSY, and they're tasked with funding the Milton Hershey School. The Trust has been conservative in the past, so this bold (dare I say extremely risky?) move would seem to imperil the school. The NYPost however, points out that the school's assets of $7billion give it a very comfortable financial position. I'll tell you one thing -->> it appears that Hershey bondholders do NOT think this deal is going forward, or else the bonds would not be trading at nosebleed prices implying such low risk. The 2021 notes are trading about 30% above par, to yield over 330basis points less than their coupon. They will be hit HARD if the company does indeed go forward with a big debt-financed offer for Cadbury. Share of staffing firm KForce (KFRC) are trading up 10% after hours, as the Federal Government has removed their "suspended" status and will let them bid for government work again. As a result of the Agreement, KGS is no longer proposed for debarment, and is now authorized to enter into new and renewed Federal business, effective immediately. The Agreement requires, among other things, that KGS return to the DOI the profit on a $78,892.32 Task Order issued in 2008, and requires KGS to enhance its existing compliance program, training and controls. The original problem was that KForce essentially helped write the work order for a project up for bidding by the Bureau of Land Management - and they happened (shocker) to be the winner of the bid for this contract! So they're handing the $$ back and things are all better. "The Notice relates to a $78,892.32 fixed price task order issued to KGS in 2008 by the Bureau of Land Management ("BLM"). The DOI's concerns relate to KGS's involvement in assisting the BLM to prepare the requirements for a Statement of Work for the project that KGS was later awarded." Shocker. A Chinese energy concern is being backed up by the state in its refusal to make good on money owed to Goldman Sachs (GS) subsidiary J. Aron. Reuters is calling it part "of a long-running dispute over how China deals with derivatives losses." "How China deals with derivative losses" appears to be simply refusing to pay up, claiming that the contracts are too complicated to understand. I wonder if this works the other way when they're on the money-making side of the equation? DJIA is up a little, while the S&P500 and Nasdaq are slightly negative today. Among gainers are the title companies (RDN, CSE), up on news that the taxpayer will follow Fannie and Freddie to hell and back if need be. 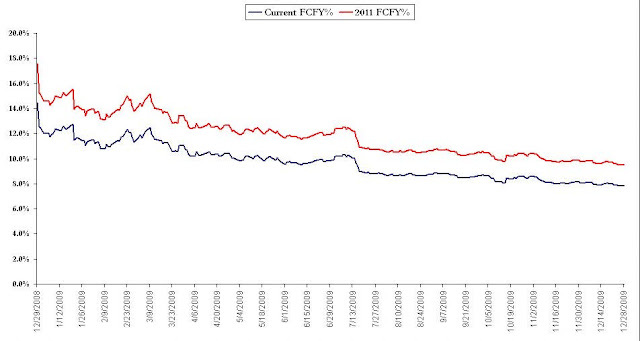 Worth sharing as I've not seen one sector make up for ALL the leaders in deteriorating CDS in a day. At CMA Datavision, transportation companies are the weakest today. IBM was the cover-story for this weekend's Barron's, and the stock is up 1% today. The magazine likes many aspects of the IBM story, but atop their list is the changing dynamics of the company's revenue mix. Below I've compared info from the 2000 10k and last years, to show the difference in segment contributions to the top line. Barrons noted that at IBM, "About half its revenues and 60% of its pretax profits are annuity-like...And IBM gets nearly 65% of its revenue from outside the US." The stability of IBM's cash flows are why Barron's and others argue the company's shares are underpriced at 12times 2010 earnings. As for me, I still like their Free Cash Flow Yield. I still maintain that IBM is cheap. 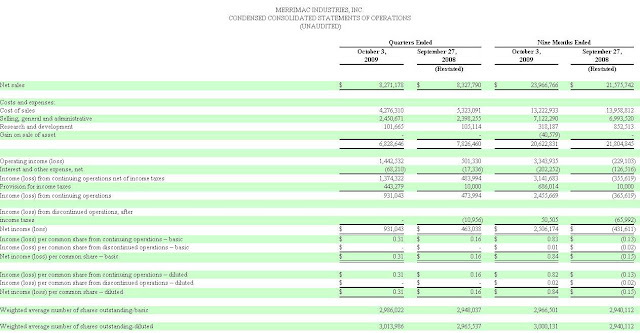 Netting out the company's balance sheet cash, their Free Cash Flow Yield is 7.8% using a backward-looking blend of estimates, and close to a 10% yield using 2011 numbers. That's too rich a yield (meaning the stock should be higher and the yield lower) for IBM, especially considering the firm's cheap cost of capital. Their 2017 bonds are priced WAY above par, to yield less than 5%. First off, cheers to those onboard Northwest flight 253, especially they guy who subdued the attempted pants-bomber. After the failings on multiple levels of security, airline shares are taking a hit today as people speculate about tighter security, which would slow travel and hurt profitability. 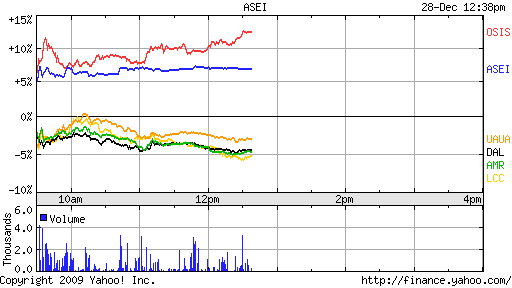 Arline stocks are off about 5% today, while security firms American Science & Engineering (ASEI) and OSI Systems (OSIS) are up handily on the day. In ASE's case, part of today's jump is due to a December 24th announcement by the US Army that they would be purchasing 37 Z-backscatter Xray trailers for use in Afghanistan. With an average price tag of $1million, this could guarantee ASE hits its 2010 fiscal year earnings targets. 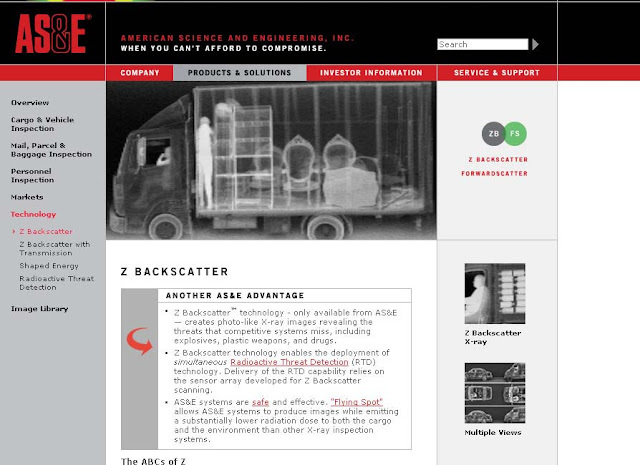 ASE and OSI also offer products that might have detected the explosives used in the failed bombing last week. 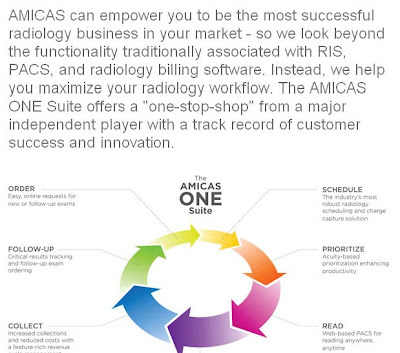 Boston-based AMICAS Inc (AMCS), a provider of radiology and medical image solutions, has agreed to acquired for $217million by Thomas Bravo LLC. The offer of $5.35 is a 21% premium to last week's close of 4.42 per share. Under the terms of the agreement, AMICAS shareholders will receive $5.35 in cash for each share of AMICAS common stock they hold, representing a premium of approximately 24 percent over AMICAS' average closing share price during the 30 trading days ending December 24, 2009, and a 38 percent premium over AMICAS' average closing share price during the 90 trading days ending December 24, 2009. "The agreement with Thoma Bravo provides an attractive all-cash valuation to our shareholders, and we look forward to completing the transaction under the terms of the agreement as expeditiously as possible," saidStephen Kahane MD, president, chief executive officer, and chairman of AMICAS. As for valuation, it's difficult to put an accurate price on this company. Wall Street expects AMICAS to lose money on a GAAP basis this year, and to earn 28cents per share in 2010, which would be a forward Price-to-Earnings of 19. 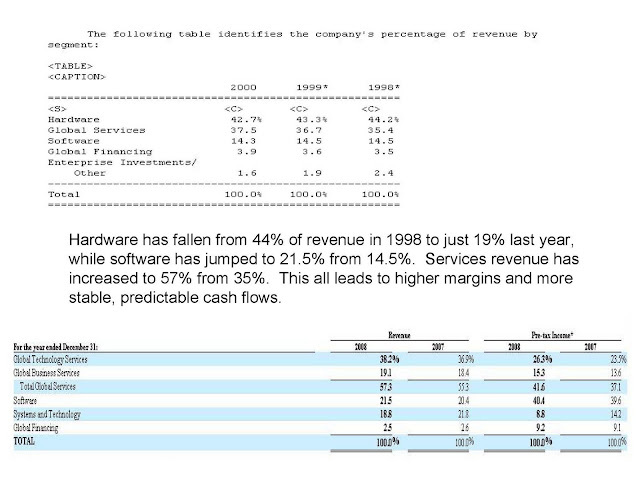 That could be considered screaming deal for a small company growing revenues 34% in 2010 on top of 78% growth in 2009. That heady growth might make one wonder why the board of directors voted unanimously for this deal. EPS of -15cents this year, then 28cents the next, could result in 2011 earnings of 50cents per share, and with "growth-oriented" investors paying 17-20 times earnings, this stock could have seen $10.00 per share in a few years. That's likely why the ambulance chasers have jumped on the story. 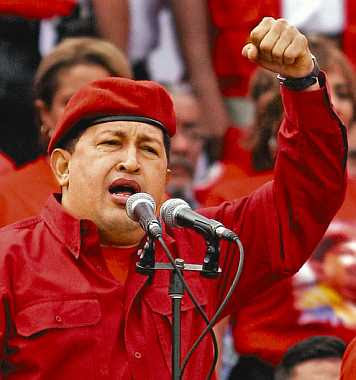 The Wall Street Journal is reporting that Venezuelan thug Hugo Chavez has threatened to exporpriate Toyota's plant if they do not hand over technical secrets to competitors. Mr. Chavez said Wednesday that Toyota needs to transfer more new technologies and manufacturing methods from headquarters to its local unit in Venezuela, adding that other foreign auto-assembly plants are also not doing enough of this. Mr. Chavez said his socialist government is going to apply strict quotas regarding the number and types of vehicles auto makers can produce. He ordered an immediate inspection of Toyota's facilities to see how many "rustic vehicles" they are currently producing. "They'll have to fulfill [the quotas], and if not, they can get out," Mr. Chavez said during a televised address. "We'll bring in another company. You gotta love socialists. Take what capitalism creates. Destroy it. Then invite the capitalists back to rebuild your society. As for the auto industry? Venezuela's auto sector is in tatters amid recurring labor problems that have led to a lack of productivity. Analysts say many auto workers hope their company is nationalized so they can become de facto government workers and enjoy the extra job security that comes with that status. As a result of low productivity, demand for automobiles far outstrips supply in Venezuela. Demand is also enhanced by subsidized gasoline in this oil-rich nation that makes a gallon of gasoline cost about seven cents. Eduardo Blanco, who manages a Toyota dealership in the Los Palos Grandes neighborhood of Caracas, said last week that he has 600 people on a waiting list for vehicles, and that only a half a dozen cars arrive at his lot each month. In a filing this morning, tax-return experts Jackson Hewitt (JTX) announced that their partner in providing refund anticipation loans - RAL's - has backed out of their agreement. JTX shares are off 24% today. It being Christmas Eve, many analysts and investors are not even at their desks to sift through the earnings impact this will have, so in the absence of some feedback investors are dumping shares. 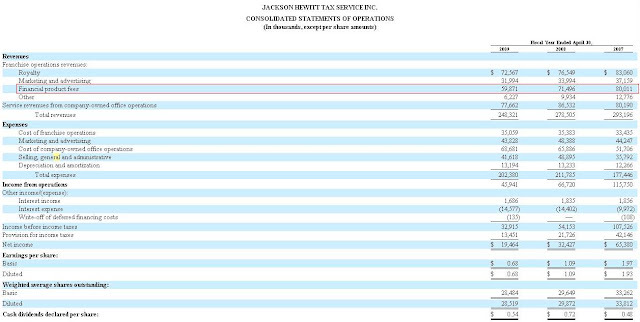 "Jackson Hewitt Tax Service Inc. (the “Company” or “we”) previously disclosed that our subsidiaries entered into amendments to our agreements with Santa Barbara Bank & Trust (“SBBT”), a division of Pacific Capital Bank, N.A., for the primary purposes of establishing the fees to be paid by SBBT to the Company for the 2010 tax season and the number of Jackson Hewitt Tax Service locations during the 2010 tax season in which SBBT will offer, process and administer certain financial products, including refund anticipation loans (“RALs”) to Jackson Hewitt Tax Service customers. The Company also previously disclosed that it anticipates that SBBT and Republic Bank & Trust Company would provide roughly the same proportion of the overall program for financial products in the 2010 tax season as each provided in the 2009 tax season and that the Company further anticipated that the amended agreements with the banks, including the Company’s amendments to the MetaBank d/b/a Meta Payment Systems agreements, when coupled with related customer and franchisee program changes, would not materially impact its planned 2010 fiscal year income. On December 20, 2009, SBBT informed the Company that SBBT will not be in a position to originate RALs for the 2010 tax season. SBBT stated that their determination is based upon a directive received by them from their regulator. We had expected SBBT to provide approximately 75% of our overall program for financial products for the 2010 tax season, including both RALs and Assisted Refunds. SBBT has further stated to us that it has signed a non-binding letter of intent to sell its RAL and Assisted Refund business. We are cooperating with SBBT in their efforts to prevent any interruption in our financial product program for the 2010 tax season. In addition, we are separately seeking alternative arrangements for additional financial products." A few minutes ago, Crane Co. (CR) announced it would purchase RF microwave company Merrimac Industries (MRM) for $52million or $16 per share in cash, a nice juicy 40% premium to the closing price of 11.44. Crane said the deal would be slightly dilutive to earnings in 2010, but the huge depreciation charges embedded in Marrimac's numbers suggest that actual Free Cash Flow will be huge. I estimate that Merrimac will do 2.00 per share in Free Cash Flow this year, for a Free Cash Flow Yield (FCFY) of about 12.5%. That's a nice use of cash for Crane, and the premium is a great windfall for Merrimac shareholders. I call the deal fair all around, because a company of Merrimac's tiny size and with their volatile results should not command a FCFY% much lower than this takeout price implies. ...Is PIMCO's Total Return Bond fund, with approximately $202billion in assets. About 41% of the fund is in mortgage securities. As investors have become wary of these bonds, PIMCO has jumped in headfirst, allowing the portfolio a yield of 5.3%. The duration of the fund is a little over 4years, as PIMCO is rightly concerned about owning longer-term bonds -->>they'll suffer the worst as interest rates rise. Portfolio manager Bill Gross' December commentary is below. Titled "Anything But .01%," he said that it's time to get more for your money than the ZERO interest banks are offering. Bill cites utility common stocks, as their dividend yields are in the 5-7% rang while also offering upside capital gains. Although he's a bond guy and I'm an equity guy, we both share the same view on a company's yield, be it Free Cash Flow in my case or earnings yield in his. "In a low growth environment, it seems to me that a company’s stock should yield more than its less risky debt, and many utilities provide just that opportunity." as the return of my money. Toothpicked, straw-hatted Will Rogers was a journalists’ dream, combining common sense with a sense of humor that could trump any newsman of his day, an era that was characterized more by its hopeless and helpless ennui, than its promise for a better tomorrow. During the Great Depression, just breaking even by stuffing your money in a mattress was considered to be a triumph of conservative investment. Likewise, during the past 18 months there have been similar “Will Rogers” moments. Perhaps remarkably, during the week surrounding the Lehman crisis in September of 2008, yours truly frantically called my wife Sue to empty our two local bank accounts into apparently safer Treasury bills. I was not the only PIMCO professional to do so. Preserving principal as opposed to making it grow was the priority of the day – digging a foxhole instead of charging enemy lines seemed paramount. Well now, I say to myself, this is very interesting from a number of different angles. If I was hoping to double my money, it would take approximately 6,932 years to get there at that rate! Somehow, that wouldn’t satisfy even Will Rogers, who might be choking on his toothpick or at least eating his straw hat in amazement. 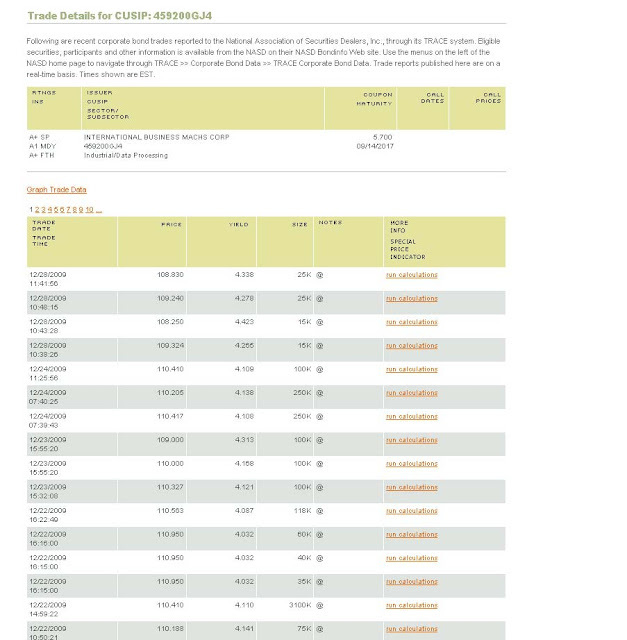 Secondly, being a savvy professional investor and all, I knew that money market funds actually earned 20 basis points or so on my money, but in this case were allocating a paltry one basis point to me. The words of the Beatles’ “Taxman” immediately popped into mind: “That’s one for you, nineteen for me – TAXMAN!” Ah yes, but in this case it was the Fed and Wall Street that were passing the collection plate. Whether it was really “God’s work,” as Goldman’s Lloyd Blankfein asserted, I wasn’t quite sure. If there was a “temple” in the vicinity I was thinking that God should be driving the moneychangers out as opposed to inviting them in for a pep talk. Ah, but this is not a vindictive diatribe, although to me, money changers resemble Mammon more than archangels, and they all make too much money, including PIMCO. My point is to recognize, and to hope thatyou recognize, that an effective zero percent interest rate, as a price for hiding in a foxhole, is prohibitive. Like the American doughboys near France’s future Maginot line in WWI – slumping day after day in a muddy, rat-infested pit – when the battalion commander finally blew his whistle to charge the enemy lines, it probably was accompanied by some sense of relief; anything, anything but this! Anything but .01%! Yet even if the Fed and others are becoming sensitized to the dangers of up as opposed to exclusively downasset prices, it would seem that now is not the time to be affirming their bipolarity. Asset price rebounds (aside from the historic highs in gold) have followed even more dramatic slumps. A 60% rise in the stock market does not compensate for a 60% decline. 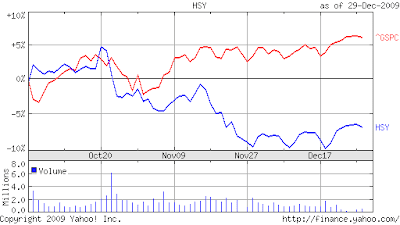 Strangely enough, investors are still out 36% of their money once this down elevator/up elevator example plays out. And the simple analysis is that the private sector has still not taken the baton from government policymakers: There has been no public/private sector handoff. Bank lending is still contracting in the U.S. and weak in most other G-10 countries. Unemployment is still rising and approaching historic (ex-Depression) cyclical peaks. Raise interest rates with 15 million jobless and 25 million part-time working Americans? All because gold is above $1,100? You must be joking or smoking – something. We will need another 12 months of 4-5% nominal GDP growth before Bernanke and company dare lift their heads out of the 0% foxhole – mini-bubbles or not. Instead, the heavy lifting or the charging of enemy lines in the case of this metaphor will likely be done by other central banks – already in Australia and Norway. In addition, and importantly, China may abandon its dollar peg within six months’ time and with it, its own easy monetary policy that has fostered more significant mini-bubbles of lending and asset appreciation on the Chinese mainland. With renewed upward appreciation of the yuan may come potentially volatile global asset price reactions to the downside – higher Treasury yields, and lower stock prices – which the Fed must surely be leery of before making any upward move, of its own, and before moving on, let me state the obvious, but often forgotten bold-face fact: The Fed is trying to reflate the U.S. economy. The process of reflation involves lowering short-term rates to such a painful level that investors are forced or enticed to term out their short-term cash into higher-risk bonds or stocks. Once your cash has recapitalized and revitalized corporate America and homeowners, well, then the Fed will start to be concerned about inflation – not until. To date that transition is incomplete, mainly because mortgage refinancing and the purchase of new homes is being thwarted by significant changes in down payment requirements. The Treasury as well, has a significant average life extension of its own debt to foist on investors before the Fed can raise short-term Fed Funds. OK, so where does that leave you, the individual investor, the small saver who is paying the price of the .01%? Damned if you do, damned if you don’t. Do you buy the investment grade bond market with its average yield of 3.75% (less than 3% after upfront fees and annual expenses at most run-of-the-mill bond funds)? Do you buy high yield bonds at 8% and assume the risk of default bullets whizzing at you? Or 2% yielding stocks that have already appreciated 65% from the recent bottom, which according to some estimates are now well above their long-term PE average on a cyclically adjusted basis? Two suggestions. First, as emphasized in prior Investment Outlooks, the New Normal is likely to be a significantly lower-returning world. Diminished growth, deleveraging, and increased government involvement will temper profits and their eventual distribution to investors in the form of dividends and interest. As banks, auto companies and other corporate models become more regulated and therefore more like utilities and less like Boardwalk and Park Place, they will return less. Which brings up the second point. If companies are going to move toward a utility model, why suffer the transformational revaluation risk of equities with such a low 2% dividend return? Granted, Warren Buffet went all-in with the Burlington Northern, but in doing so he admitted it was a 100-year bet with a modest potential return. Still, Warren had to do something with his money; the .01% was eating a hole in his pocket too. Let me tell you what I’m doing. I don’t have the long-term investment objectives of Berkshire Hathaway, so I’m sort of closer to an average investor in that regard. If that’s the case, I figure, why not just buy utilities if that’s what the future American capitalistic model is likely to resemble. Pricewise, they’re only halfway between their 2007 peaks and 2008 lows – 25% off the top, 25% from the bottom. Their growth in earnings should mimic the U.S. economy as they always have, and most importantly they yield 5-6% not .01%! In a low growth environment, it seems to me that a company’s stock should yield more than its less risky debt, and many utilities provide just that opportunity. Utilities and even quasi-utility telecommunication companies now yield between 5 and 6%, whereas their 10- and 30-year bonds yield less and at a higher tax rate to you the investor. So come on you frustrated Will Rogers lookalikes. Join the wimp who pulled his money out of the bank just 14 months ago. Look at your monthly statement, zero in on that .01% yield and say to yourself, “I’m as mad as hell, and I’m just not going to take this anymore!” You can’t buy the Burlington Northern – Warren Buffett has scooped that up – and most other choices offer tempting returns, but potential bullets as well. Buy some utilities. It may not be as much fun as running a railroad, but at least you’ll know who to call if the lights go out. Fascinating. I wrote a week(ish) ago about a wrinkle that could trip up the Exxon-XTO merger. The merger terms cited the risk of legislation that would outlaw "fracturing," which is a process used to extract natural gas from shale-rock formations. The deal was a big bet by Exxon on not only the current low price of natural gas, but on America as a source of cheap, cleaner fossil fuels. XTO's expertise in fracturing as a way to get at natural gas reserves was a large part of the deal rationale. Per the merger agreement, legislation outlawing fracturing would be reason for the deal to fall apart, as it would constitute a "material adverse affect:"
"Following approval of the Project Agreement by the National Executive Council on December 10, the Minister for Petroleum Hon William Duma and acting Governor-General Dr Allan Marat signed the Agreement securing PNG's second LNG project. The signing was witnessed by the Prime Minister Sir Michael Somare. The Agreement sets fiscal terms for a twenty year period, which include a 30% company tax rate and certain exemptions applicable to large scale projects of this nature. It also provides for a 20.5% ownership stake to be held by the Government of Papua New Guinea's nominee, Petromin PNG Holdings Limited. A further 2% ownership stake will be taken by landowners directly affected by the plant. As previously announced, the proposed LNG project would be developed by InterOil and its joint venture partners Pacific LNG Operations Ltd. and Petromin PNG Holdings Limited. The project targets a $5 to $7 billion LNG facility, with multiple trains. Additionally, the Agreement provides for the expansion of the plant up to 10.6 million tons per annum (mmtpa). While current plans call for first production of LNG towards the end of 2014 or beginning of 2015, InterOil is progressing a proposed liquids stripping plant, to be located in Gulf Province, in late 2011/early 2012, which would provide an attractive revenue stream prior to the commissioning of the LNG plant." He also is close to the people who funded the supposed "investigative journalism" outlet ProPublica, an outfit that claims to fight for the US citizen. What they've done is paint fracturing as a dangerous process that threatens our groundwater, when in effect it is a baseless argument. Baseless or not, congressmen are notoriously stupid individuals who are happy to pass reckless legislation in exchange for promises or hints of campaign cash. 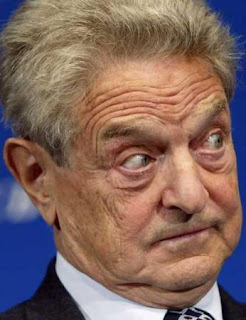 IBD points out Soros' involvement with ProPublica, as well as his interest in InterOil, which would compete directly with XTO. A media group called Pro Publica has done what it calls "investigative journalism" and exposed the alleged dangers of fracking in a series of stories it has provided free to cash-starved media outlets and newspapers. The first expose was an attack on energy companies developing the Marcellus Shale. Pro Publica was started by billionaires Herbert and Marion Sandler, who, along with billionaire George Soros, funded the left-wing Center for American Progress, run by John Podesta and touted as the Obama administration's "idea factory." "This 60-year-old technique has been responsible for 7 billion barrels of oil and 600 trillion cubic feet of natural gas," according to Sen. James Inhofe, ranking member of the Environment and Public Works Committee. "In hydraulic fracturing's 60-year history, there has not been a single documented case of contamination." So it turns out that fracturing is NOT a danger to US groundwater, but instead it is a threat to Soros' investment in InterOil. He is funding attacks on the fracturing process in an attempt to derail the Exxon-XTO deal, which would enrich himself through his InterOil investment. All while getting US environmentalists to lead the charge in scuttling a US energy deal in order to simply outsource our LNG demand. This back-and-forth has been interesting. Hedge fund Pershing square has a huge position in bankrupt General Growth Properties, a massive retail REIT. They picked up shares at multi-year lows in late 2008 and earlier this year. Earlier in 2009, Pershing Square published a detailed report outlining its bullish stance on the equity portion of GGP's capital structure, and the stock has rocketed from below $1 to $10 today, a "ten-bagger" in less than a year for Pershing and founder Bill Ackman. A few weeks ago, Hovde Capital published a pdf stating the case that GGP is in fact overvalued, and that Pershing Square was using flawed analysis. For those interested, here is today's response by Pershing Square. They now suggest GGPWP shares are worth $23-43 each, which would make this among the best trades in Wall Street history if they're proved correct. I find Pershing Square's analysis to be more rigorous, and today the market agrees, sending shares higher by 14% and likely causing some heads to be banged on keyboards at Hovde Capital. 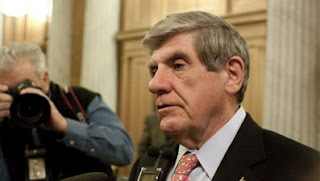 It must go to Nebraska Senator Ben Nelson, the last holdout on Obamacare. The highest-profile Democratic hold-out on Obamacare, Nelson said last week, “My vote is not for sale.” He obviously meant that in the sense that he’d be righteously indignant at any suggestion that his vote could possibly be bought for anything less than the low nine digits. Nelson got the feds to pick up forevermore 100 percent of the additional Medicaid spending that will be imposed on Nebraska by the bill. This guy held out till the end, and in exchange for his vote the rest of the country will pick up the tab for Medicaid's expansion in Nebraska FOREVER. Stunning. "Most outrageously, it seems that California is being punished for not playing political extortion on the issue. Its top leaders in Washington - House Speaker Nancy Pelosi and Sens. Dianne Feinstein and Barbara Boxer - have been adamant about getting health care reform all along. Gov. Arnold Schwarzenegger has spoken up in support of reform. Because California's votes - and voters - could be counted on to support health care reform, we've gotten far less than states with "moderates," who are able to bully Congress into handing over more and more treats for their constituents." Ben Nelson is now asking that Nebraska be stripped from the bill. Absolutely embarrassed by his actions, as he should be. Though probably not as much of a crook as Harry Reid, who orchestrated the bribe. Three senators came up to me just now on the (Senate) floor, and said, 'Now we understand what you did. We'll be seeking this funding too'," Nelson said. But the Democratic senator, who has faced a heap of criticism for appearing to trade his vote on health care for millions in federal Medicaid money, said he's considering asking that the Nebraska deal be stripped from the bill.